DF-02386_R – Louis Ashbourne Serkis stars in Twentieth Century Fox’s THE KID WHO WOULD BE KING. Photo Credit: Kerry Brown. January releases are a little rough. Kids film January releases tend to be even rougher. Luckily, I was shocked by how good The Kid Who Would Be King turned out to be. The film generally follows the story of the sword in the stone legend, King Arthur and the Knights of the Roundtable, etc. Alex (Louis Ashbourne Serkis) is just an average kid living in London with his mother. Not particularly the most popular kid, he and his friend Bedders (Dean Chaumoo) end up on the receiving end of some bullying from Kaye (Rhianna Dorris) and Lance (Tom Taylor). 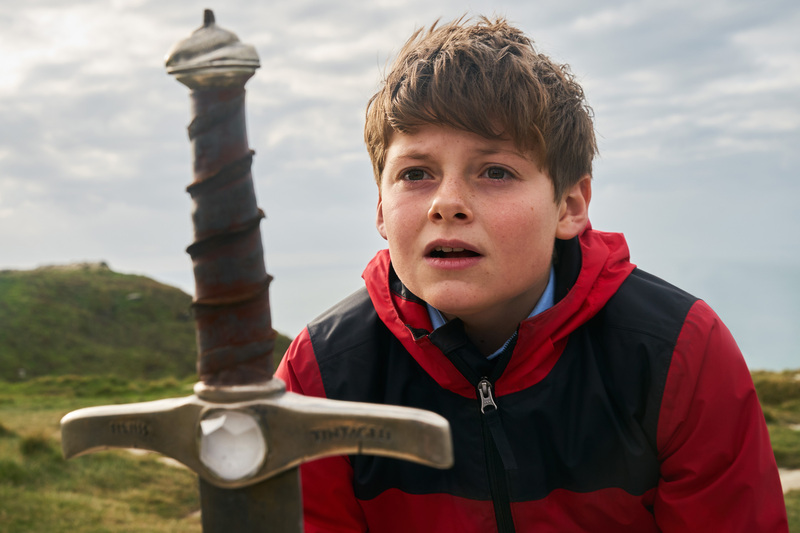 One day, while running from his bullies, Alex comes across a sword in a stone, and he pulls it out, bringing it home, not knowing the significance of it. 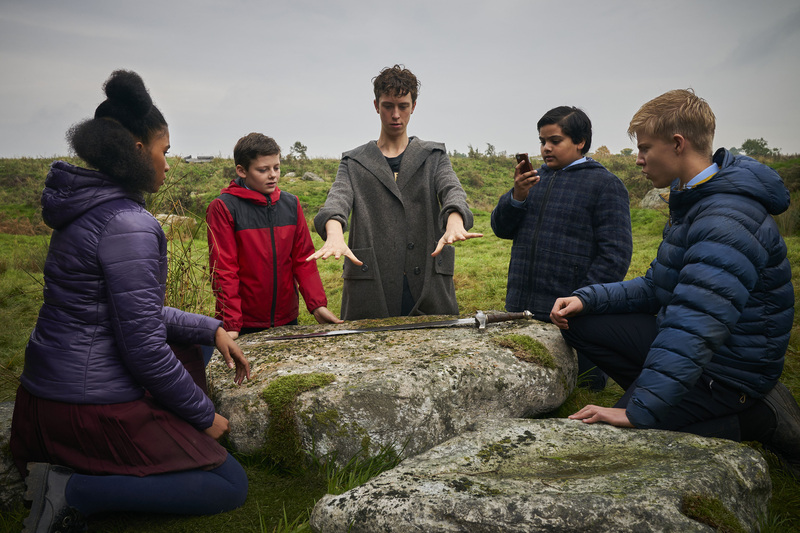 As strange things begin to happen, Young Merlin (Angus Imrie) shows up to help him along his journey to keep the evil Morgana (Rebecca Ferguson) at bay. As they travel along their journey, they grow closer, learning to appreciate the strengths and weaknesses they find within themselves and each other. As I said, January releases are a bit unpredictable, but I was surprised in the best way with this film. It has heart, great lessons for kids and adults alike, and is reminiscent of the magic of movies we had as kids in the 80s and 90s. The actors have great chemistry together, and the film has a lot of humor, keeping both the kids and adults entertained. 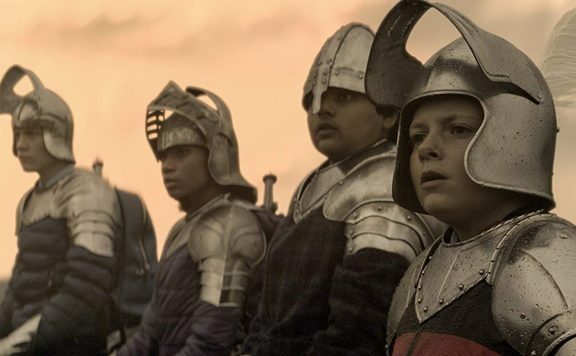 DF-00079_R – L-R: Rhianna Dorris, Louis Ashbourne Serkis, Angus Imrie, Dean Chaumoo, and Tom Taylor star in Twentieth Century Fox’s THE KID WHO WOULD BE KING. 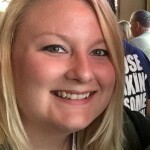 Photo Credit: Kerry Brown. I would have to say my only qualms with the film was the run time and the darkness of some scenes for kids. At a bit over two hours, the film does get a bit long, and it may be difficult for younger kids to stay engaged. There are also some scenes that I thought were a bit dark for a kids film, but were quite good. The scenes with Morgana when she is trapped in the earth are pretty creepy but well done. The highlight of the film without a doubt for me is Angus Imrie as Young Merlin. Every single scene he was in, he stole in a second. He was charismatic, funny, engaging, entertaining and wholly committed to his zany and bizarre character. His older counterpart, played by Patrick Stewart was a pleasant surprise for me. Stewart once again proves that he can take on any role, from the famous Professor X to Merlin, and more. 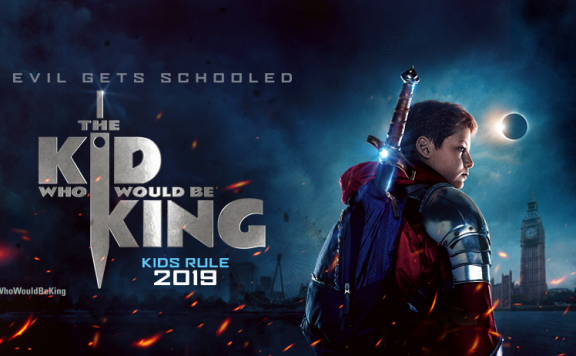 For a film that features mostly relatively new young faces, The Kid Who Would Be King is a wonderful family film to start off the year. 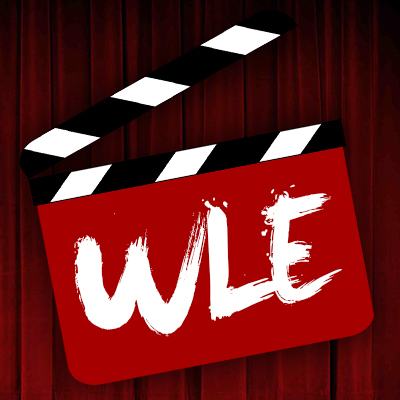 The lessons embedded in the film translate well from the youngest audience member to the oldest, reminding us that living life while honoring and helping others is always worthwhile.